The oldest of the Baby Boomers (those born between 1946 and 1964) reached the age of 65 last year in 2011 and by 2030 the number of Americans over the age of 65 will soar to 72.1 million, 1 out of every 5 Americans! 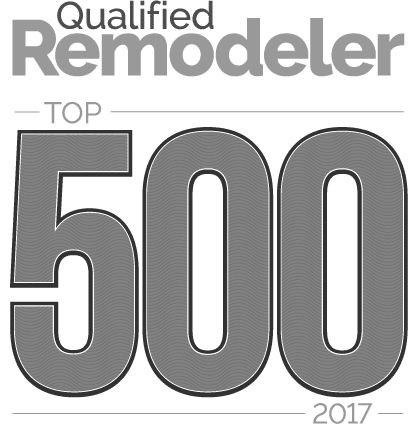 Given those numbers there is no question why we get so many calls here at Foster Remodeling on how to remodel an existing home to make it more comfortable and accessible for the homeowners as they age. In fact, according to a recent AARP survey, 73% of respondents strongly agreed with the statement “What I’d really like to do is stay in my current residence for as long as possible”. Most homes, especially in Northern Virginia, weren’t designed with long-term accessibility in mind, but there are several projects that can make you and your family more at ease with you staying in your home as long as possible. Kitchens are great way to update a home’s accessibility and a valuable remodel that many can enjoy over the years. In the same AARP study, 75% of Boomers didn’t feel their current kitchen layout met their living needs; there are a few ways to update your kitchen. For this generation transitioning from a 42” bar height table or overhang to a 28” or 30” height is more accessible should one need a walker or wheel chair in the future. Also, because kitchen space is frequently used by Boomers and other generations alike a standard-height table or island for social gathering is ideal. Creating wider walkways or paths throughout the kitchen and adjacent rooms provides easier mobility. Storage options should be easily reachable and/or pull out, older cabinets without rollouts or few drawers can be taxing for those with back problems. Keep hardware in mind as well, for those suffering from arthritis or hand-mobility/gripping issues small knobs can be difficult, but larger pulls can be much easier to manipulate. Another room where updates should be provided is the bathroom. Maneuverability should be a priority in a bathroom, providing a 60” turnaround (minimum size needed for a wheel-chair to turn) if the space allows or an acceptable T-turn space should be planned for. Creating a shower with zero-threshold allows for easy entry and exit into and out of the shower space with no tripping hazards. If a bathtub is a requirement, grab bars with adequate bracing behind them should be installed to ease entry and exit. Benches are also a high-demand item which can be built-in or installed as a fold-down to accommodate those who have problems standing. When thinking about faucets and shower valves, lever handles are much easier to manipulate and installing a separate handheld shower provides ease of use. Toilets have come a long way, and many companies have “comfort height” or ADA approved height versions which typically have a seat height of 17”-19” above the floor, a much easier location to lower to and rise from. Keep in mind that many of these features can be integrated into the overall design so it needn’t feel institutional or hospital-like. Many of our clients are surprised at how gorgeous their “universally designed” bathrooms are when the project is complete. There are several small areas around the house that one should also think about when remodeling. With flooring, low or zero-thresholds between surfaces is important because of tripping hazards. Typically we recommended hardwood, laminate or tile flooring since it is a smooth surface that is easy to get around on and dust is less likely to collect on hard surfaces compared to carpeting for those with respiratory problems to consider. If you really feel more comfortable with carpet, consider a low pile height. Hardware on doors should be levers, as knobs again, can be difficult to manipulate. At the entry point of the home, creating a clear accessible path to a no step covered door is ideal, also providing a 36” wide opening of the door to accommodate walkers or a wheelchair. If possible, we’ve had many clients relocate their master bedroom to the first floor or add an addition to accommodate a first floor master suite for themselves or aging parents. As many of our clients or their parent’s age, we know what your concerns are and can help you plan for them. In a Genworth 2010 study of Cost of Care, they found the average cost of a 1 bedroom single occupancy assisted living facility was $38,220, multiply that by 5, 10, 15 years and you are looking at a large investment. For many families whether they are keeping parents in their own house or joining them into their own homes, we can guide you to make smart choices to keep you or your family as independent as long as possible. We know how important your home is to you, so whether you or a loved one is looking to remodel or update to accommodate your lifestyle give us a call.